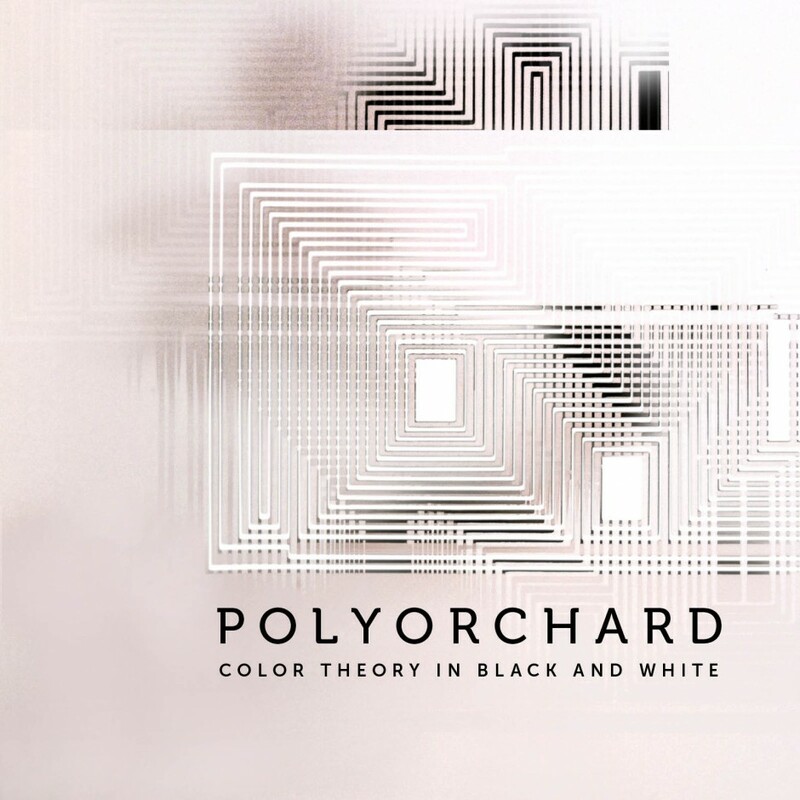 On April 13th Polyorchard will be opening for the composer Michael Pisaro and percussionist Greg Stuart and the Nightlight as part of the Experimental Music Study Group. Join the Experimental Music Study Group for a captivating two-night residency featuring California-based composer Michael Pisaro and South Carolina-based percussionist Greg Stuart. A member of the Wandelweiser collective, Michael Pisaro crafts intricate soundscapes that hover at the boundaries between sound and silence, drawing attention to the act of listening. Greg Stuart’s inventive percussion music explores alternative techniques including sustained friction, gravity-based sounds, and sympathetic vibration. For nearly a decade, Pisaro and Stuart have collaborated on heralded projects and released recordings on the Gravity Wave label, forging a close bond between composer and performer. On April 13 at Nightlight, Pisaro and Stuart perform closed categories in cartesian worlds, ethereal music for crotales and sine tones; performers from the Experimental Music Study Group will perform Pisaro’s fields have ears (4); and local improv collective Polyorchard will perform a set. And at the Carrack on April 14, Pisaro and Stuart unleash the spellbinding numbers and the siren, a ninety-minute duo for percussion and electronics in which distant sounds seep into the main performance space from a separate location. 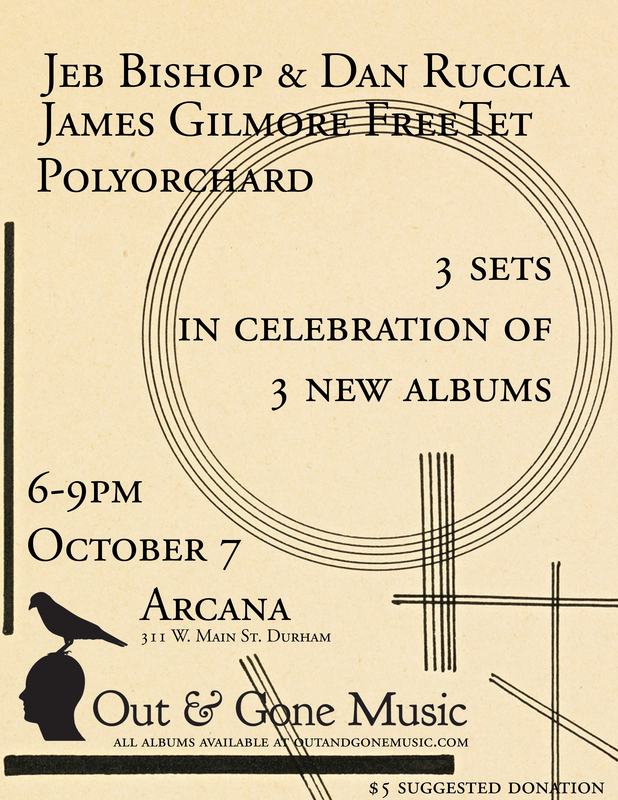 Both nights will offer a typically EMSG mixture of the unfamiliar and the enchanting: we hope to see you there! A mess of free improv. Cyanotype this time is: Dan Ruccia (viola), David Morris (tuba), David Menestres (bass), Jason Bivins (guitar), Jeb Bishop (trombone), and more? Hits at 8pm at The Carrack (111 West Parrish St. Durham, NC 27701 ). Organized by Michael Pelz-Sherman, the Triangle Improvisors Collective will be playing The Shed (807 E. Main St., Durham, NC 27701) on Friday March 6 at 8pm. The TIC will be Michael with Julia Price, Chris Lipscomb, Jeb Bishop, Erik Okamoto, and David Menestres. The next meeting of the Experimental Music Study Group will be February 26 at The Shed in Durham (807 E. Main St.). The meeting starts at 7:30pm and will be followed by Polyorchard performing the graphic scores of Anthony Braxton at 9pm. Braxton himself will be talking at The Pinhook at 6pm. And if somehow you don’t know, Anthony Braxton and Diamond Curtain Wall Quintet will be performing the next night, Friday February 27 as part of Duke Performances. A rare chance to see one of the giants of modern American music. 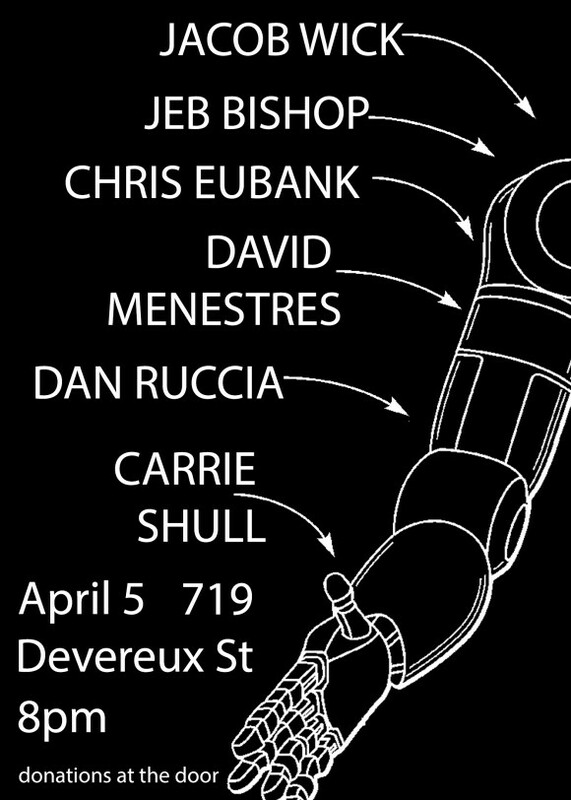 Polyorchard will be Jeb Bishop, Jil Christansen, Bill McConaghy, David Menestres, David Morris, Christopher Robinson, Dan Ruccia, & Heidi Wait. More info on the EMSG at their website, including a sign up for the email list, the best way to keep up with their activites, including up coming residencies with R. Andrew Lee & Erik Carlson in March and Michael Pisaro & Greg Stuart in April. And while we’re on the subject of signing up for email lists, on the right side of this page there is a sign up for the Polyorchard email list. Sign up! Monday January 12 marks the beginning of a new group “for the exploration and performance of experimental music in Chapel Hill and Durham.” The Experimental Music Study Group meets at 7:30 at the Nightlight in Chapel Hill for a discussion followed by a performance of this month’s scores at 9pm after which Polyorchard will perform. 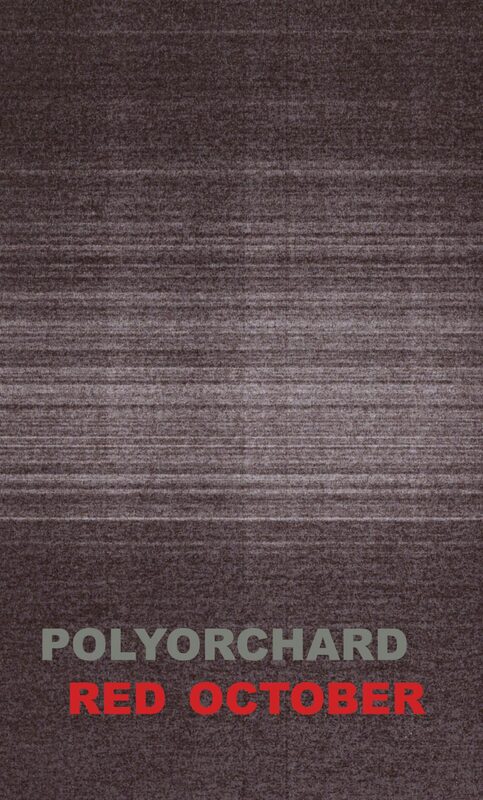 This line up of Polyorchard will be Jeb Bishop, Jil Christiansen, Laurent Estoppey, and me.